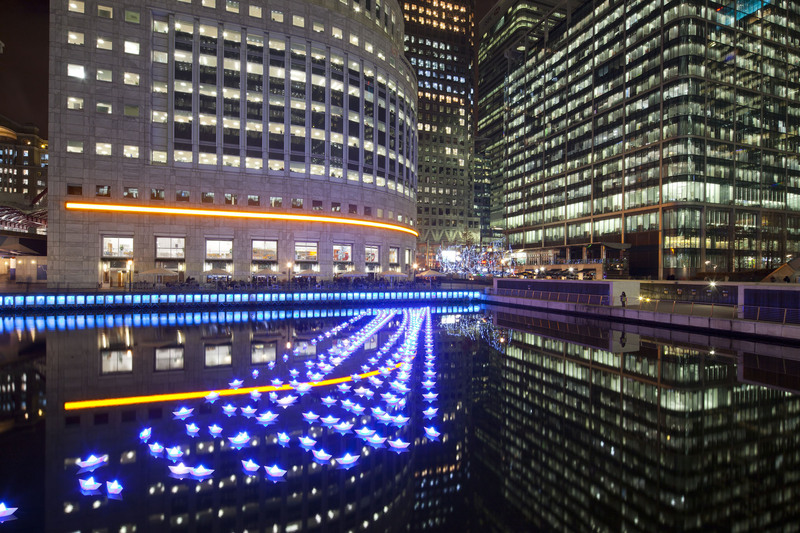 he idea is that the fleet of small paper boats composes an organic matrix of lights that uses the water as canvas for drawing ever changing coloured lighting effects to create an imaginative and immersive magical landscape. Blurring the lines between the real and hyperreal, it will invite the thoughts of the visitors to cross the borders of their imagination. 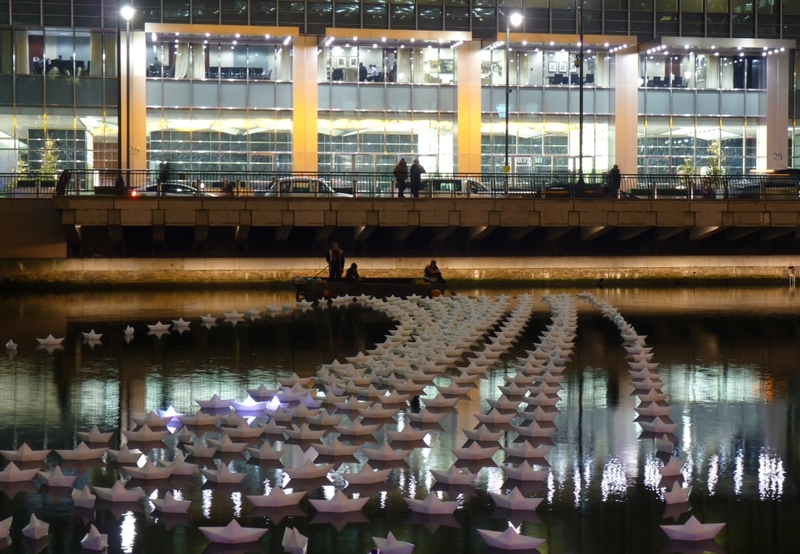 There are different points of view to appreciate the installation: a more intimate scale where people near the water can see the small paper-boat items and connect to their poetic character and a more majestic view: a glowing area of more than 50 by 15 meters - from a longer distance. People can see the spectacular scenography of the entire fleet from the windows of the nearby buildings or from the bridge, where they can appreciate the dynamic scenery.